If you have plenty of red currant (or is it redcurrant?) 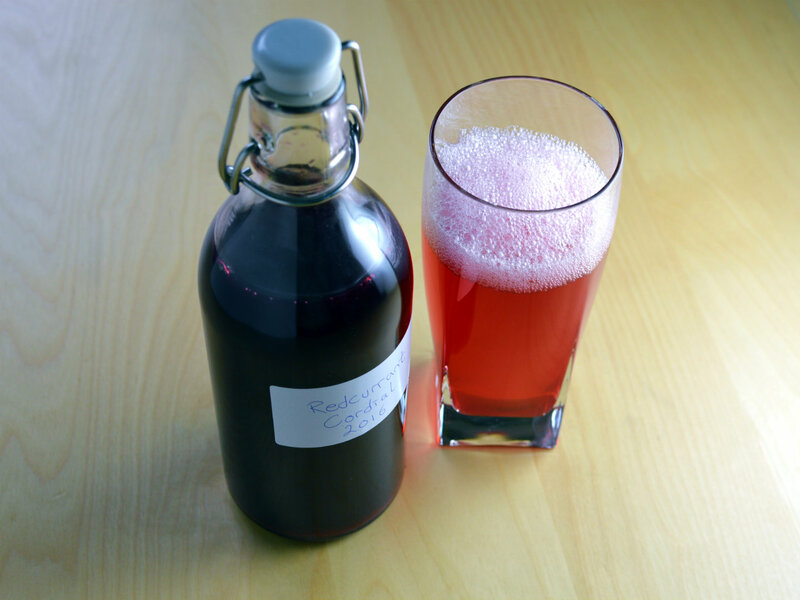 in your garden or from a friends garden, then I can highly recommend making a batch of this Swedish red currant cordial (syrup). Especially if you have kids it is great to always have some homemade cordial/syrup at hand. Sterilize the bottles (bottles to hold around 1,5 litres). Boil the bottles in a big pot for 10 min. Bring to a boil while stirring to dissolve the sugar then remove the froth.